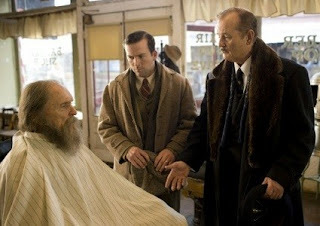 Howdy pardners...as I type, I am taking in a little Get Low with Robert Duvall, Bill Murray, and Sissy Spacek. Pretty sharp flick so far. There is something about Duvall that I find exceptionally watchable. I loved his character in Crazy Heart and I think time has aged him to perfection. Sissy Spacek is a great actress as well and I think she has taken some interesting roles in the last few years. My favorite of which, may be Hot Rod (2007), the Andy Samberg flick. It is much funnier than people give it credit for with a great deal of witty comedy. The part was originally written for Will Farrell, but Samberg absolutely nailed it. Specek was great in the film and why shouldn't she be, a six time Oscar nominee, one time winner (Coal Miner's Daughter)...what's a little comedy? Get Low also features Bill Murray in one of his largest (in terms of screen presence) roles of the last decade. There is something you should know, if you don't already...from his turn in ZOMBIELAND to his silly clown, sad clown entry in GROUNDHOG DAY, Bill Murray CAN ACT. 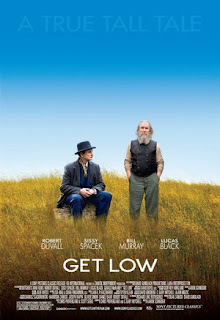 I would argue that Get Low is one of his most wide-reaching roles ever. He bends your ear at first as a swarmy salesmen, pitching deals in the death trade at a struggling funeral home. As the film reveals itself, you find him to be a truly caring and compassionate person. Lucas Black is also surprisingly compelling as a caring southern gent who takes kindly to the old mean hermit that is Duvall. It is very much Black's character that pushes the action forward...he's come a long way since Tokyo Drift! I have always been drawn to his roles, but I think the unassuming way that he carries himself here make it underwhelming in terms of physical presence, but spot on in terms of dramatic presence. Rhino, Get Low is OLD NEWS, give us the scoop on HANNA! What an absolutely entertaining romp...a little bit art house, a little bit Jason Bourne. With a story by Seth Lochhead and a screenplay by he and David Farr, they have woven a great tale that's one part Sci-Fi, one part Adventure, one part Thriller, all parts fun. Farr is a former writer on MI-5 and it shows, with a great knack for spy sensibility in this script. Joe Wright may not be a name that jumps to the forefront when you think of great directors, but this marks his third film in a row that I have been smitten with and his star is certainly on the rise. Atonement in 2007 started the run and while you might not think Rhino for a sap, but boy did I love that movie. Saoirse Ronan was fantastic in Atonement and she was very deserving of her Supporting Actress nod. Tilda Swinton was great that year, but thirteen year old Ronan was a tour de force that could have walked off with the trophy to no surprise by me. Next film in the run for Wright, 2009's The Soloist. Perhaps it was in fact pandering as Oscar bait, a bit sappy you could say, but damn was it fine cinema and a great story of friendship and redemption. Hanna is a bit of a departure from Wright's previous work, and other than a few frayed edges, I think he has blasted a grand slam in terms of pacing and tone. I will say that this film was greatly fueled by the COMPELLING original score from The Chemical Brothers. Yes, the Block Rockin' Beats, Chemical Brothers. It is just enough retro with lots of rockin' to fuel this jet forward in a big way. Single-handedly, this score upped Hanna a full notch in my book. 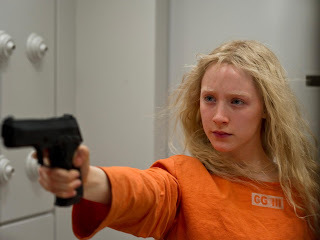 HANNA stars Saoirse Ronan as the titular character, who we meet living near the Arctic Circle, with her father, Erik (Eric Bana). 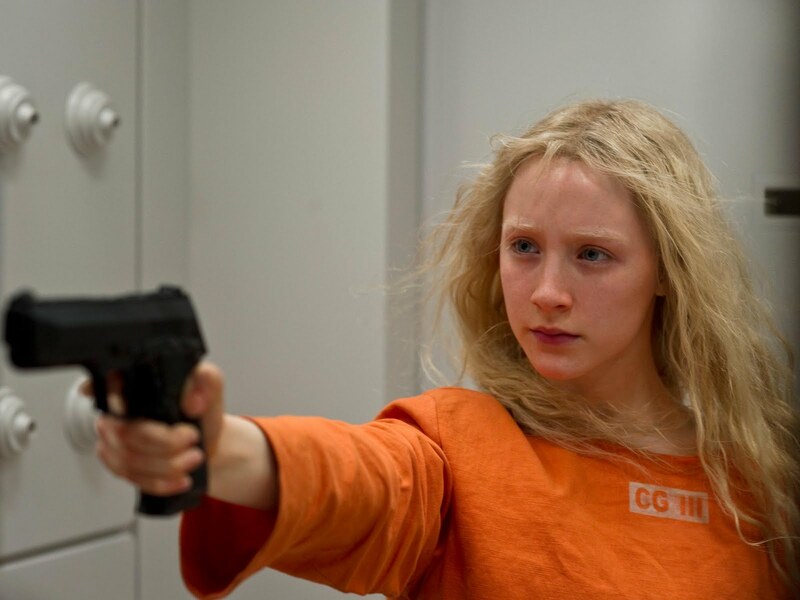 Erik has been training Hanna as a warrior, and from the looks of things, the training is going well. This film features a prologue of sorts in this life in the wild training segment. We don't know right away how, but very quickly get the sense that Bana's Erik is a man with whom not to mess! 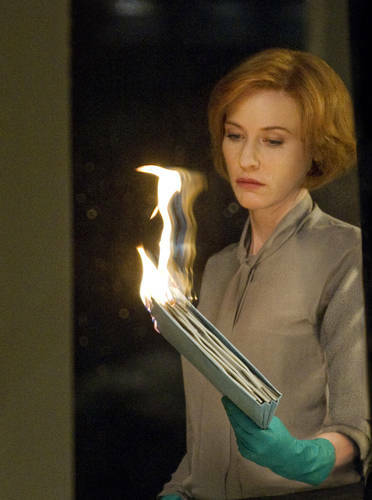 The action is kicked into gear when Hanna activates a device that allows Erik's position to become known to his former CIA handlers, including Marissa (Cate Blanchett). Marissa is a particulary venomous character who slowly reveals her nefarious scheme...you will quickly see that she is not too nice of a person and will stop at nothing to get her way. The strike force converges on Erik's beacon, where they find only Hanna. She is brought to a holding center where she plans on killing Marissa on her father and mother's behalf, as she believes that Marissa has killed her mother and was responsible for sending her into refuge with her father. Hanna has lived a sheltered life, and while she is partly correct in her beliefs, it is the twists and turns that follow that make this a great flick. The other half of this films greatness comes in the form of the wild eyed wonder that Ronan portrays with mastery as she is experiencing the world for the first time. She has literally lived her life in the wild, and everything she sees and does is both literally and figuratively seen through the eyes of a child. Hanna proves herself to be quite lethal, and her lethality mixed with innocense is what gives her that Jason Bourne sense of wonder. Everything she learns about the world or herself is new, and she doesn't like everything that she learns. I had mentioned that great score by The Chemical Brothers, well it is only a part of the music that fuels this film. There are a variety of live music sequences, organic to the action, that mirror the theme of the film at different segments. 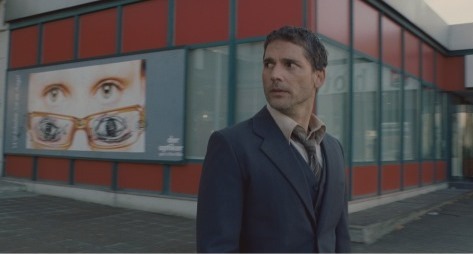 In the first minutes of the film, Hanna asks her father about music. He isn't really able to explain the nature of music, but she gets to experience it first hand, much for good, some for bad. hand at shooting this type of film is what gives it a bit of grittiness that make the film that much more enjoyable. 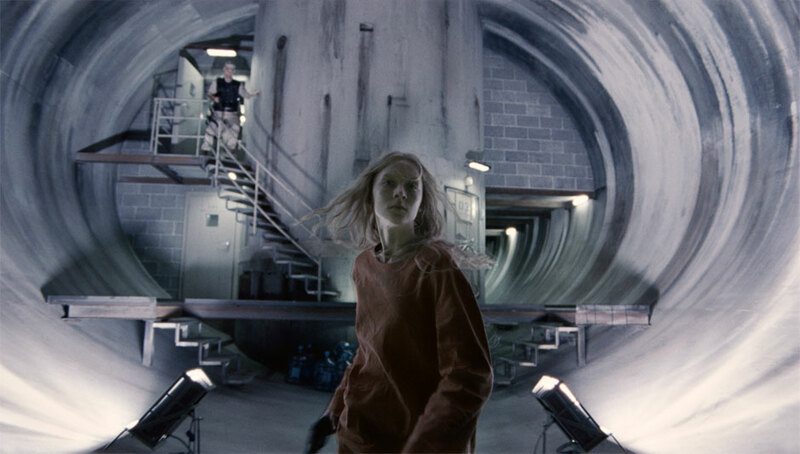 The chase culminates at one particular location that is revisited several times near the end of the film. I won't talk any more about it, but I will say that it is exceptionally creepy and also really cool to think about how neat it would have been to shoot at such an interesting location. 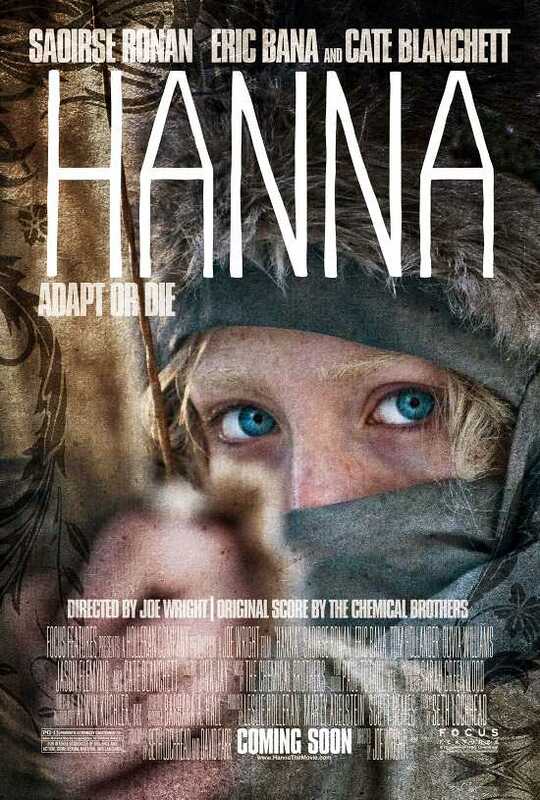 Hanna is not a perfect movie, but it is cool as can be. It may have released through an American studio, but with Wright at the helm and with the exotic locales, this flick has European sensibilities and I mean that as the greatest of compliment. The tone is darker and the overall look is more gritty than say SALT, by comparison, another spy thriller that I felt came off as very commercial. 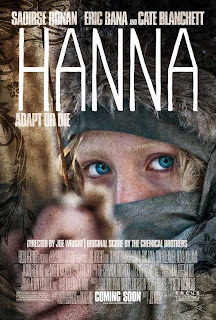 Hanna wraps itself up nicely as a stand alone story, but there is clearly room for a sequel and a franchise if it is so deemed by those managing this property. I hit HANNA up at 4.5 horns of 5 and say consider this flick for your weekend fare. As I round third and head for home, I am listening to a great Robert Duvall monologue near the end of GET LOW. This is one of those movies that is just plain good. It isn't necessarily uplifting, but it too, very similar to Wright's Atonement, is a story of forgiveness and redemption. You know I love the movies. I love so much the power of a great story. We all have stories to tell and I am grateful to those with the creativity and courage to put pen to paper for the sake of sharing their life's experiences. How many times, though, are these stories for the author's redemption as well as our entertainment. Duvall's character tells "his side of the story" at the end of Get Low. He doesn't tell it to entertain, nor for vanity. He tells the story because it needs to be told. Sometime the road to redemption is all about setting the story straight. Get Low gets 4 of 5 horns from Reel Rhino. The film is completely enjoyable with a positive message in the mix with the sadness that comes with confessions of a painful past. For now, the Reel Rhino says look for your own redemption in film. Relate your experiences to theirs. Don't be afraid to cry (as long as no one is looking!). There is catharsis to be found in the theater. I don't know what I will see for my second film of the weekend. Supposedly, Jane Eyre is well done and carries with it a creepy, dark vibe. Me likey likey, but limited release may keep me from catching it for another week. Or perhaps I should shoot a little lower and check our Your Highness? Maybe, but if I buy into the hype, it may be a miss for the "so far so good" Danny McBride. And what of Arthur? This Dudley Moore remake may be my front runner if I can't find Ms. Eyre. Russell Brand has really grown on me and Arthur strikes me as a film that may be just the right amount of funny with a dash of sweet. Like I said, I can be a sap for the sweet stuff occasionally? Time will tell folks, time will tell. 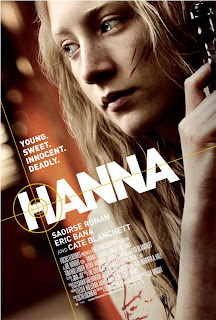 PS...Check out the full trailer for HANNA below with a few other gems I am very excited to see as the summer unfolds!